For years, Onsite Appliance has been the leading provider of reliable and budget-friendly appliance repair in New York City, NY. We have well-trained technicians in our team whom you can depend on to lengthen the life of the machines you use to help manage your home. We can fix even badly-damaged refrigerators, heating and air conditioning systems, washing machines, dishwashers, ovens, freezers and many others. Your home contains many appliances that are very technical by nature such as heating systems, refrigerators, and audio/video systems that family members heavily rely on. We guarantee 100% customer satisfaction with our quick response, fast turnaround time, and quality repair services. We ensure that all restored items are functioning as expected and without any risks when used. It might be a waste of money to buy things you will be using only once. Because all home appliances are a source of convenience that you need to live comfortably, it is essential to have broken appliances repaired immediately by professionals Here at Onsite Appliance we guarantee 100% customer satisfaction on the complete repair and restoration of broken appliances in New York City, NY. We can guarantee you get back a fully-restored machine that is safe to use. Our technicians can do magic on every type of machine you have in your home. 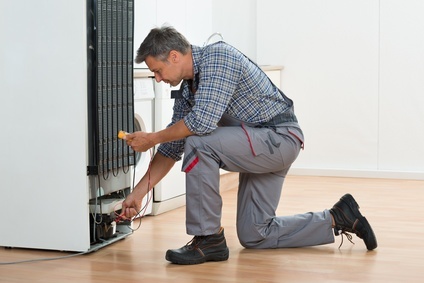 Our technicians at Onsite Appliance have been trained under the manufacturers of all the leading brands so that we are able to address any concerns regarding your malfunctioning appliances in New York City, NY. You do not have to go back and forth different centers for appliance repair near you that only specialize on one type of appliance when you can bring them all to us. The technicians we have at Onsite Appliance have been trained well to diagnose all types of appliances, and then whatever the problem is, they get right down to fixing it, making sure to take the necessary safety precautions. A common problem with stoves is a malfunctioning burner. We also offer the best stove inspection and maintenance. Our technicians have knowledge on the possible risks involved, such as gas leaks and electrical faulty wirings, and you can rely on them to ensure your safety as well as the safety of your appliance. If your stove is not working, it is always safe to call a professional to do the much needed appliance repair in New York City. We will never recommend that you buy a new oven until we have exhausted all our skills in trying to fix it first. Most of them will recommend the purchase of a new one. For us at Onsite Appliance, however, we take the challenge of fixing microwave ovens head-on. No need to suffer with bad service to save money. There is no need to buy a new oven until our skilled technicians in New York City, NY have taken a look at it. Most overhaul companies may claim that microwaves are costlier to repair than buying a new one but we beg to differ. Whatever it is, our New York City appliance repair technicians can take a look at your refrigerator and do the necessary measures to remedy the problem. Rather than giving it up for a new fridge, let our skilled technicians perform their magic. A fridge can be an expensive appliance and you do not have to buy a new one if the problem you are experiencing with it can be fixed. When your refrigerator breaks down, it becomes a major problem as it leads to spoiled food and beverages. We do not charge you for unnecessary part replacements just so we can bill you higher. We service all types of dishwashers and have all the necessary tools used in the industry for their repair. Whether the washer is leaking or you don’t know why it doesn’t leave your dishes clean, you can call us to quickly come and fix it for you in no time. We are experienced in handling all sizes and makes of dishwashers and other machines. When your dishwasher is in trouble, call us. Do not take the longer route of fixing the dishwasher yourself when you can take a much shorter route with us. Let our technicians go over your dishwashing unit and perform appliance repair in New York City, New York. The following are some of the brands we are trained to handle. Know that when you entrust your broken appliance with Onsite Appliance, you are bound to be amazed at how we can make it work as good as new again. 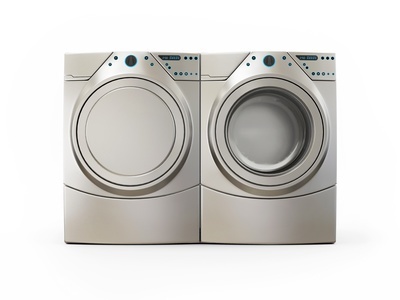 It is about time you experience first-hand the kind of appliance repair in New York City, New York that we at Onsite Appliance have been providing our loyal clients. You can fill out and submit the form provided on this site and we will call you. We can bring your appliances back to life. Our consultants will only be too happy to answer your call. © 2019 Onsite Appliance Repair Service. All rights reserved. All Locations Are Independently Owned And Operated.